Career prospects for law graduates are immense and a Career In Law in India is extremely lucrative. Once you study Law there are a plethora of choices for you beyond the more commonly known ones of Private Practice. It is an extremely well-paying career provided you are ready to work hard and have a passion to see justice prevail. Well if you answered in affirmative to the above two points law could well be your true calling in life. Thus to answer further doubts arising in your mind we have compiled questions which students commonly ask us. What are the undergraduate degrees in Law? One can choose from the above-mentioned degrees depending on their area of interest and subjects studied at 10+2 or simply go in for LLB after Graduation. Is LLB a Masters Degree? Many European countries, Australia, New Zealand allow students to pursue the Legum Baccalaureus (LLB) course as soon as they leave school at 18. However, they must undergo further training and education before they pursue law. In India, though things work slightly differently. Students can pursue LLB which is a graduate degree in law only after doing a three-year bachelor degree. After completing LLB candidates are eligible to take the bar exam and become licensed lawyers. Thus LLB though an undergraduate degree must be accompanied by an additional bachelors degree. Is 5year Integrated (B.A LLB) better than LLB? There is no such thing as one being better than the others. Both are good choices, depending on your preferences and situation in life. Students sure of their ambition to study Law will find it more convenient to study an integrated course as it gives them a seat guarantee for 5 years; that is you don’t have to look for a seat for admission, again after graduation. Also, the integrated course can be completed in 5 years, while combining a regular undergraduate degree with LLB will take 6 years. However, choosing not to do an integrated course helps students keep their options open as they could always opt for a different career option after graduation if they wish to. Many would argue that the top colleges such as NLSIU and NALSAR offer only integrated courses so that must be better. This is not entirely true. Several famous Universities such as Delhi University or Benaras Hindu University offer only LLB and these degrees are also highly merited. What are Career Prospects after graduating in Law? Generally, after completing an integrated law degree from any of the top colleges, students are faced with various lucrative career options. They could either choose to study further or add to an Organization’s value as an employee. What is the difference between Litigation Lawyer and Corporate Lawyer? Lets clearly understand what Litigation and Corporate Law mean. Corporate Law: Corporate law deals with the formation of companies and their dealings with other businesses, Government, Tax bodies etc. 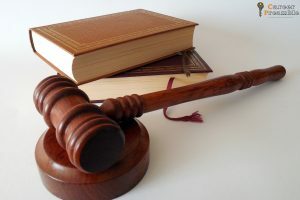 The duty of a corporate lawyer is to ensure that the company they work for is complying with all possible legal requirements while keeping the companies best interest in mind. Corporate Lawyers are often involved in helping Companies carry out Joint ventures, Mergers, Acquisitions, Partnerships etc. Which is better Corporate Law or Litigation? Both are equally good depending on your priorities and preferences. Gives you a specialized Skillset which is very valuable in the current job market. High Merit Requirement: Though this one is not necessarily a disadvantage if you are a meritorious student. However, if you are poor in academics, chances of being absorbed by a big corporate on the completion of your course are minimal to nil. Vast experience: By practicing in court you get a huge amount of experience and exposure to various types of cases. This makes you a more Experienced Lawyer. Government jobs: There are some exceptionally great job opportunities for Litigators to work with the government. They can also represent the government in court cases. Success is Followed by Money: Once you can establish yourself as a Litigator, there is no dearth of Clients and that means high dividends per case. Competition is Cut-Throat: It can take years to establish oneself successfully. We hope the above points helped quell some of your doubts. In case you wish for a more personalized Guidance, book a session with Aditi Sachdev. leading lawyer at National Company Law Appellate Tribunal.